PRICE REDUCTION!! Welcome home to your Penthouse Paradise on the beach. Located in Lido Key's wonderful L'Elegance this newly renovated home has a casual mix of modern and classic sophistication, with the Gulf of Mexico as your picturesque backdrop. The moment you step inside the 10-foot high floor to ceiling sliding glass doors provide breathtaking panoramic views of Lido's south beach. Whether you are entertaining with friends in this comfortable open floor plan or enjoying the sunset and warm gulf breezes with a beverage on your private balcony, you are sure to feel at home. The kitchens contemporary cabinetry and quartz countertops complement the exposed concrete column beautifully, making this kitchen the heart of the home. The split floor plan offers two bedrooms each with balcony access and amazing Gulf views. At the end of the day relax in your master bathroom limestone soaking tub. Duel Sinks and a walk in closet finish out this contemporary bathroom. With luxurious facilities, amenities and onsite management team the L elegance building has it all: 24/7 guard gated access, updated lobby & event space, Olympic sized pool and spa steps away from Lido's sandy beach, fitness center, sauna, two tennis courts and a community room. Whether you are looking for a vacation home or a year round home, this is it. Fully furnished and ready for you. Directions:John Ringling Blvd west to Ben Franklin Drive, follow the road to the south end of Lido. Condo is on the Gulf Side of the road. After the guard gate pull left and park by the tennis courts. Thank you for showing! Pet Restrictions: Dogs and Cats only, 2 pets per residence. Tenants can not have pets. SchoolsClick map icons below to view information for schools near 1800 Benjamin Franklin Drive #PH-A-05 Sarasota, FL 34236. MFRMLS data last updated at April 26, 2019 7:10:01 AM PST. Home for sale at 1800 Benjamin Franklin Drive #ph-A-05 Sarasota, FL 34236. 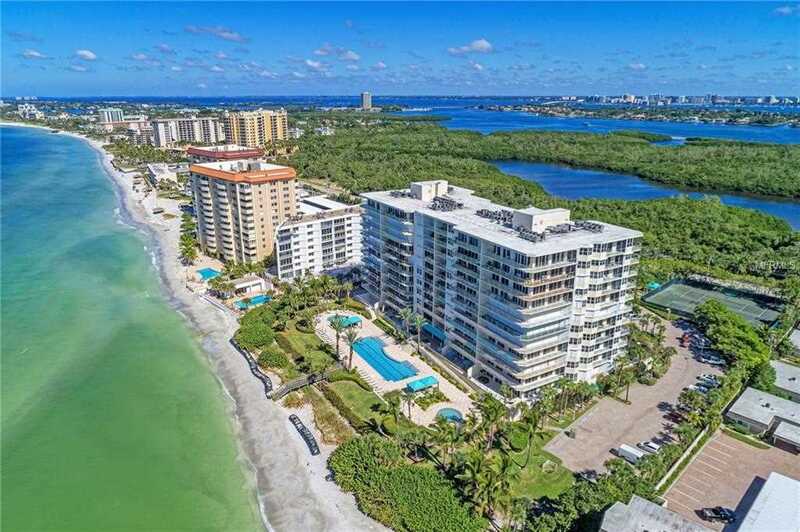 Description: The home at 1800 Benjamin Franklin Drive #ph-A-05 Sarasota, FL 34236 with the MLS Number U8021605 is currently listed at $1,072,000 and has been on the Sarasota market for 189 days. You are viewing the MLS property details of the home for sale at 1800 Benjamin Franklin Drive #ph-A-05 Sarasota, FL 34236, which includes 2 bedrooms, 2 bathrooms and has approximately 1350 sq.ft. of living area.